Being a junior in high school is a difficult part of your life. You have to deal with school, sports, sleep, and a job. It can all add up to a lot of stress. Jane and Grace Labadie, are living up to the challenge and pushing through it. These two girls, twins, both received offers from division 1 college. Jane received an offer from Western Michigan University and Grace from Indiana University. Both schools are known for their great soccer programs. I really love the coach and the way Western runs their soccer program,” said Jane Labadie talking about why she choose the school. 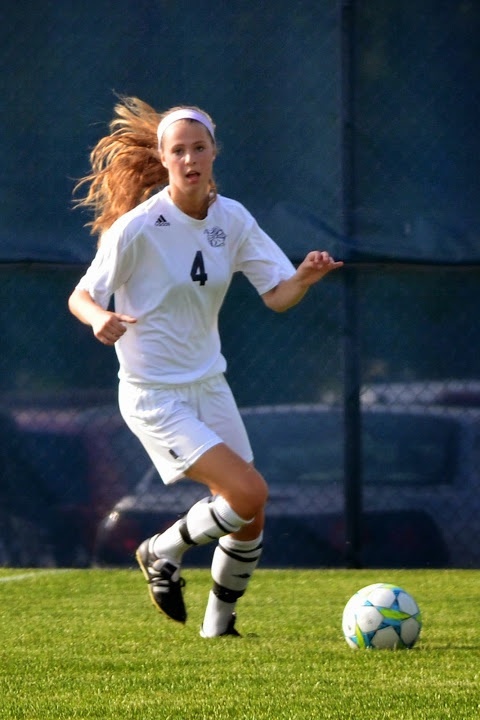 Grace is choosing to play at Indiana because she is very impressed with the coaching staff and the soccer program. The Labadie name is a well-known one when you are talking soccer. Rich Labadie, the father of the twins, played for WMU in college and now he is the technical director and also the academy director for the soccer club TKO Crew Juniors. Also the oldest of the Labadie’s, Hannah, played division 1 soccer at Cornell University. Division 1 soccer is definitely a trend that is in this family. Jane and Grace both play on the TKO Crew Juniors u17 girls MRL team. They play in the Midwest Regional League where they compete against the best teams in the Midwest. When you play against good competition, you tend to improve on your skills and that is what these girls have done. They improved every year and that is why they have college scouts all over them. Playing for a club like TKO you play in tournaments called Showcases. College coaches come and scout players and the tournament host all of the coaches. Players get a lot of exposure from these types of tournaments. Playing here for Norrix they will be a 4-year varsity player, since they played varsity as a freshmen. They have helped the Norrix girls soccer team to reach new levels. They look forward to winning the SMAC this year and make a deep state tournament run. Can’t wait to see the team in action this spring.